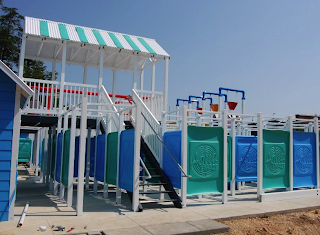 The park formerly known as Alabama Adventure, now Alabama's Splash Adventure Water Park, has opened a world's first - their new Mist-ical Maze. The premise of the Mist-ical Maze is as simple as you might expect - you enter and try to find your way out. 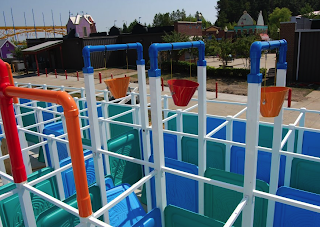 Only for the water park aspect those who enter have to dodge water blasts from other guests in the watch tower, and other interactive traps are set along the way as well, including tipping buckets of water. 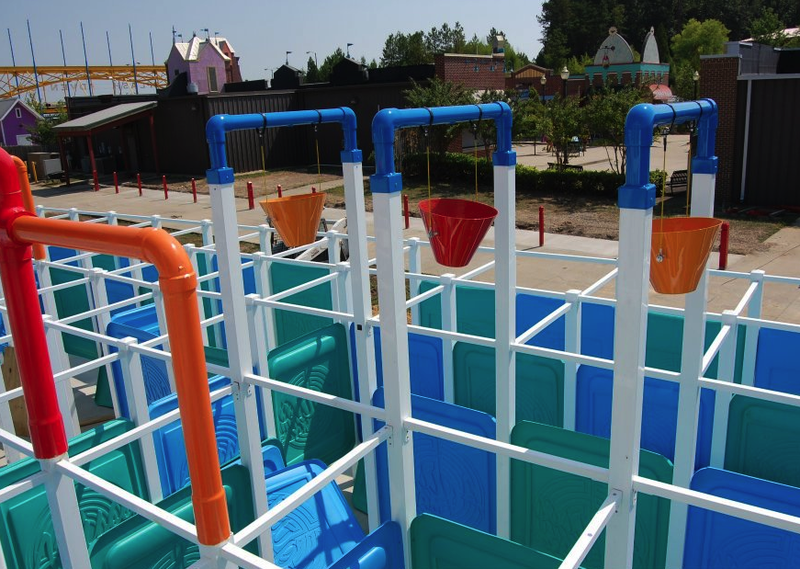 According to the park this is the first instillation of the Aqua-Maze. Pretty simple concept I know, but I have a feeling guests will find that it is a lot of fun. The park also has a water ropes course under construction that should opened shortly. 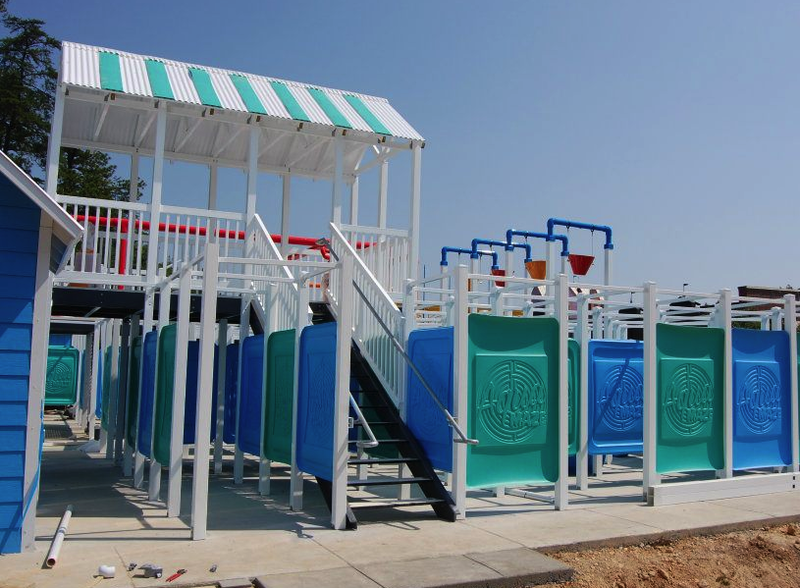 This is the park's first season operating as only a water park, with the dry rides closed and either for sale or already sold. I visited this water park recently and saw this. Looks like fun. It even has squirt guns so you can spray people in the maze.